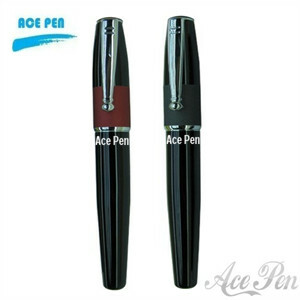 (2) Body style of metal roller pen: Round, Oval, triangle etc. 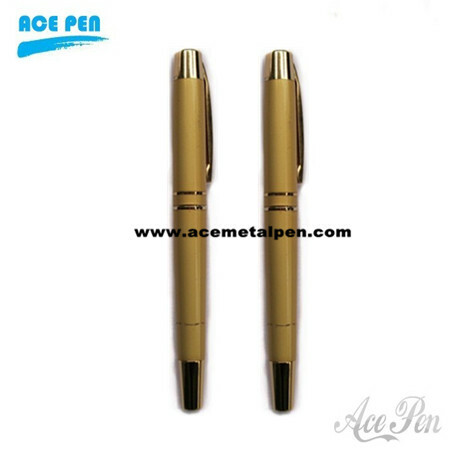 (3) Body Materials of roller pen: Brass, Stainless steel, Aluminum. 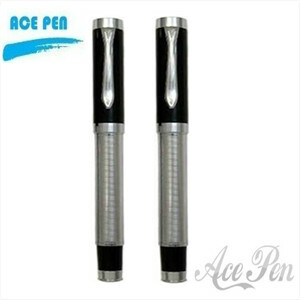 (4) refill of metal roller pen: Metal refill. (Standard rollerball refill.Long shelf-life refill about 1 years -2 years. (7) Our roller pen: were Smooth writing (Please check below writing line.) , Long shelf-life about 1 years -2 years. (10) Certification of metal roller pen: EN-71 Standard, SGS report. High quality rollerball pens. 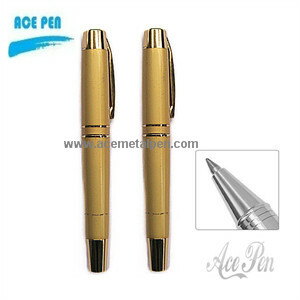 Good quality pens, fine writing instruments.Gold Eletroplating finish on the pen barrel.Body style of metal roller pen: Round, Oval, triangle etCustomer's logo and color were accepted. 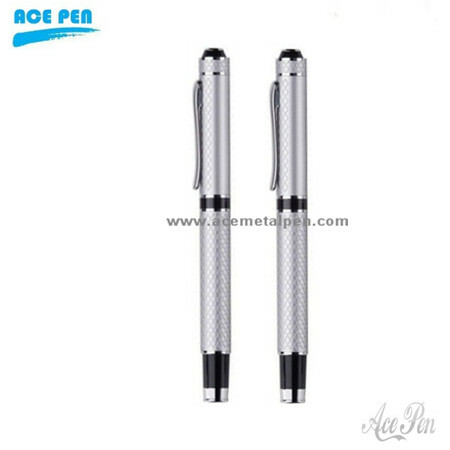 Type of metal roller pen: Cap-off design.Further information please feel free to contact us. 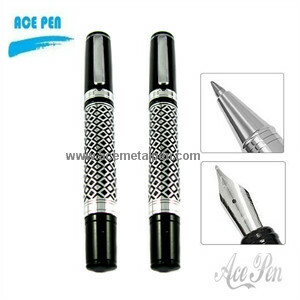 Wholesale metal writing instruments and Promotional Pens- wide range of custom printed pens and pencils from china metal pen suppliers of promotional gifts, promotional items, and business gifts.Ace Pen Enterprise Limited is a comprehensive writing pen manufacturer specialized in metal pen design, manufacturing, wholesale and retail. We use state of the art equipment in house and our products comply with International Quality Standards. 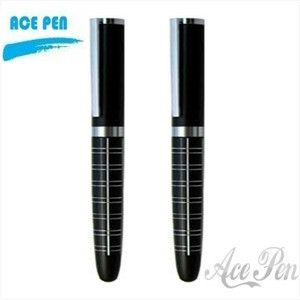 Made of metal, acrylic, wood or leather with truly outstanding sophistication and elegance in design, our writing instruments include Metal ballpoint pens, Promotional Roller ball pens, Fountain pens, Carbon fiber pens, Leather pens, Luxury China Red Pens, Blue and White Porcelain Pens, Laser Pens, Acrylic Pen. 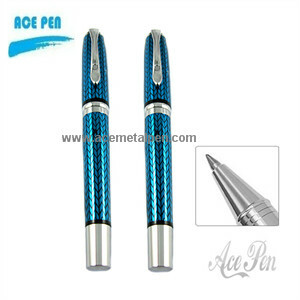 wholesale distributor and supplier of metal pens.Ace Pen Enterprise Limited is a comprehensive enterprise on design, manufacturing, wholesale and retail. Our products comply with International Quality Standards and our company offer various kinds of fine writing instruments include Metal ball pens, roller pens, fountain pens, Acrylic pens, Leather Pens, Multifunction pens, USB pens, Carbon fiber pens mechanical pencils and Gift Pen Sets etc. These products can be used as business gifts, promotion gifts, or in the occasions of brand spreading, anniversary greeting, stationary, and school & office supplies and so on. We are also devoted to the development and improvement of new products according to our customer's requirements. 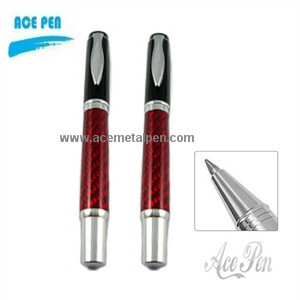 All kinds of Metal Rollerball Pens with high quality and competitive price as well as best service from Ace Pen. 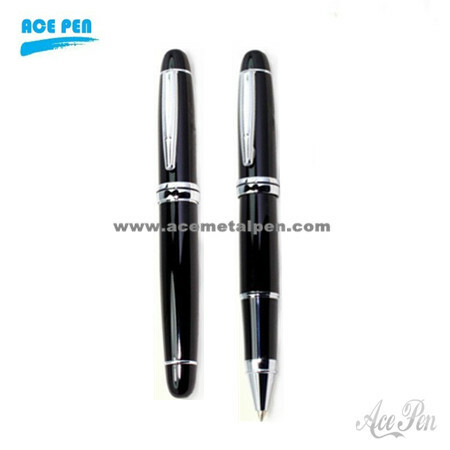 Ballpoint pen with elegant shape,produced by professional metal pen .barrel in plated gold Silver Chromed Trims,Bright colored barrel.Intense high gloss finish. Elegant Gold Finish Brass Metal Rollerball Pen.